LifeSafe Training, LLC offers family safety training and personal safety training centered around the proper use of firearms. There is a tremendous gap in available firearms and personal safety courses and LifeSafe Training was created to fill that space. The training available, much of it Military or Law Enforcement based using methods and tactics are sound, but sorting out what is useful and practical for us from what is useful for a soldier or law enforcement officer can be daunting, confusing, and time consuming. We offer a new way to learn proven methods for personal safety by offering courses that are smaller and more tailored to our clients personal needs. Much of our training is done in our client’ home and then the practical application is relevant to their individual situation. It’s important to us that our clients are always comfortable with the curriculum, whether it’s teaching their little ones to “Don’t touch it, leave the area, find an adult,” or it’s a live fire session on the range, when a student is comfortable, they will get the most out of their lessons. Additionally and importantly LifeSafe Training is a federally licensed firearms dealer. We sell guns, ammunition and accessories very differently from the conventional gun store. Everything we do is tailored around you, the end user so that buying mistakes are avoided or eliminated. Guns are expensive, and there are a lot to choose from so making the right decision is critical and in most gun shops, you are on your own for that decision. Even worse is the counter person “helping” you as they are likely steering you toward what works for them and not you. Our “Custom Gun Fitting” program is unlike anything in the industry today and it has a proven track record of success. We’ll schedule a call to discuss what you’re thinking about and the primary and possible secondary purposes for the gun. After that we’ll schedule a session at the range to give you a private lesson and to shoot several options for guns. That session will clarify what fits you, what you like and what you don’t. Results can be surprising and can save you the anguish of purchasing something you don’t love. Trading that unloved gun from there is a financial Rabbitt hole that some people don’t get out of until they’ve spent thousands on different guns to find the one that’s right for them. The same service applies for trying new and different guns to ensure a happy purchase experience. All hours are by appointment only. What drives us is the unique ability to bring training to you customized to your learning style. Working with every member of your family, we will help our clients to learn the art and science of personal and family safety. LifeSafe Training will prepare you and your family for whatever comes your way. Our goal is to help you and every member of your family train to whatever level you desire. Whether your preference is private, family or group training, we have a program to fit your lifestyle and your schedule. To provide clients with a balanced and practical level of knowledge and skills that instills confidence in everyday life. Whether at home, at work or at play we all have a right to protect ourselves and those closest to us. Learning from a peer can greatly enhance the experience and for many people, seeking out this training is off-putting and well away from their comfort zone. Bob Margolis is an accomplished marksman, entrepreneur, and successful business executive. 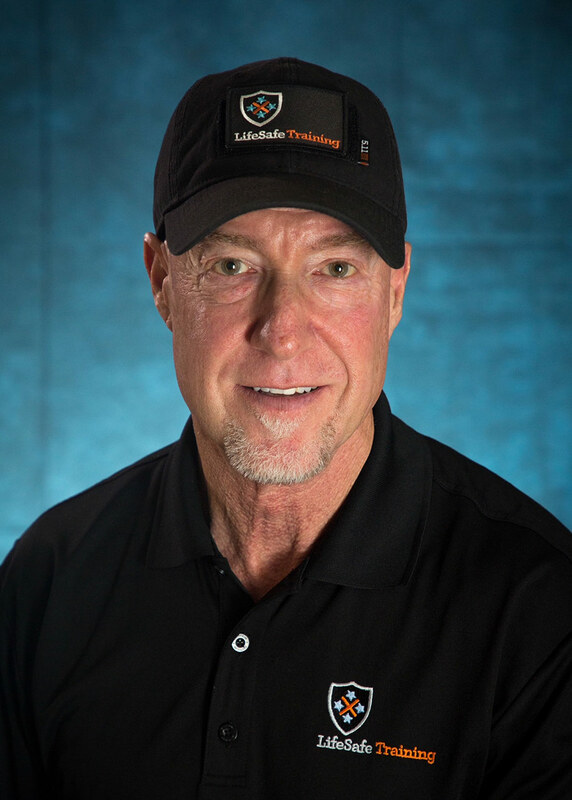 Learning to adapt to his environment as a busy executive, Bob brings a highly unique experience level to not only firearms training, but to the practical application and adaptation of the knowledge and the tools. “It’s not always possible to carry a firearm while wearing a business suit or in certain situations that daily life demands.” Training to recognize and avoid the potentially dangerous side of everyday life keeps us as safe as possible. As a student in the Police Academy, I needed help since I was unable to pass firearms qualifications for my job. Bob came highly recommended to me, so I reached out to him to see if he would be able to help. Lessons were customized to my needs and Bob was able to diagnose what I was having trouble with. He helped me go from abysmal below qualification scores to shooting near perfect scores. I would recommend Bob to anybody who was interested in firearm instruction. Bob has assisted me in many ways. I can’t speak highly enough about him as an instructor but more importantly as a person. He is an honest, caring and patient individual who ALWAYS makes time to answer any questions you have or to meet up and assist you with purchasing the “right” fire arm suitable for each individual. I have practiced shooting several weapons with Bob on multiple occasions and his way of teaching is like no other. To date I’ve purchased several firearms from him and couldn’t be happier. I would recommend him to anyone looking to learn more about general safety, home protection and firearms. You won’t be disappointed. I thoroughly enjoyed taking the NRA pistol permit course today with you at LifeSafe Training. The course atmosphere was perfect for learning, and I felt very comfortable with your instructions and demonstrations both in the classroom and at the firing range. You are a fantastic role model: patient, competent, knowledgeable, and above all, SAFE. Thank you for opening my eyes to new possibilities and safe gun handling. I will gladly refer my friends and family to you for firearm instruction in the future. Thank you for your phenomenal training. Between my experience at the Women on Target and my classroom training with you, I feel so much more comfortable around firearms as well as handling them. I truly believe that Knowledge is POWER! You’re a great instructor and I will surely send people your way. As a woman in her 60’s I got my pistol permit about eight years ago, when it looked like that may not be possible for much longer. After I got my first gun, I needed to shoot at least twice a year to keep comfortable with the gun. There was an open shoot monthly at the local gun club, but I needed more. Bob Margolis was recommended to me by a member at the Metacon Gun Club in Simsbury, CT. In the past two years I have a lesson every four months or so with Bob, at either the indoor or outdoor range at the range. I can return and go through everything about gun handling, cleaning, stance and grip, and practice with shooting at targets. I appreciate both his knowledge and his patience. Even after eight lessons I still find I am learning new things. I will continue this indefinitely. I was out with friends and bumped in to Bob. Our conversation turned to our mutual interest, firearms, and I mentioned that I had been researching a special variant of the SIG P229. Bob grinned and as he told me he had that exact gun. If you know Bob the next comment will come as no surprise… ” let me know when you’re around next week and we can meet at my club and you can fire it and see if you like it.” Needless to say, two weeks later I was the proud owner of my own P229 Legion. Bob also made the purchase transaction seamless. I wanted introduce my son and daughter to indoor target shooting. I couldn’t think of a better guy to trust my kids with than Bob Margolis. Bob instructed my kids how to properly handle a firearm in a safe and respectable manner. Bob was patient, informative and talked straight and clear so kids could understand and take in what he was saying. And at the end, they had a fun and memorable learning experience. I also hired Bob to work with me on target practice exercises with my Sig P226. He was very knowledgeable with techniques and gave me good pointers with my grip. When it comes to firearms, what ammo to use or training, Bob is the go to professional I can trust.